May 7, 2018 Robert W.
Quick poster printing is available in the local Las Vegas area at inexpensive pricing. These posters are not offset printed on 100lb paper, they are printed on a quality poster paper with large format printers that produce splendid colors and quality. 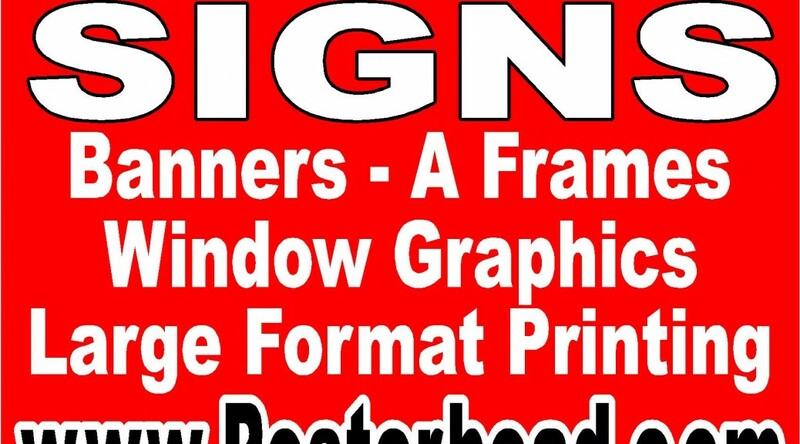 Sign companies like www.Posterhead.com ( also found at https://posterhead.deviantart.com/art/Posterhead-Signs-743917659 ) can help you get that poster printed quickly and efficiently. Quick poster printing has many applications for business and personal use. Many people like to take photographs and blow them up into a wall poster to hang on their walls. Schools like to use posters as a way of advertising an event and hang them in classrooms and hallways. These posters cannot be paper because they need to last for awhile and be handles by students continuously. Businesses use these posters as a way to inform customers about products and services they offer. These posters can be stapled to walls or even with double sided tape to hold them in place. The 8 mil poster paper is also water resistant and will last in the outdoors with fading and getting damaged. Quick poster printing is available at most sign companies in the Las Vegas area in the price range of $2.50 to $3.50 per sq. ft. Contact a sign shop to see how posters can help you.